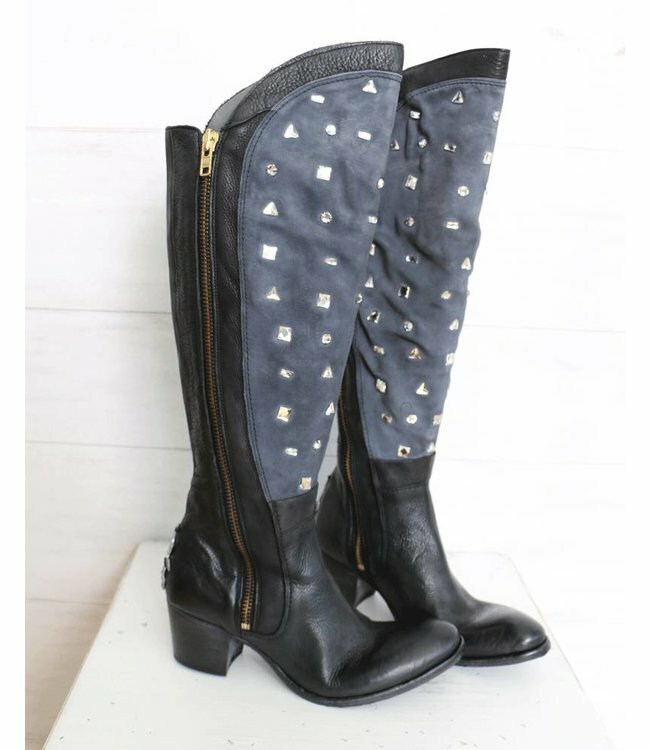 Black over-the-knee boots made from high-quality leather and decorated with silver-coloured rivets. The boots have two back zips for easy entry. They have a low heel and a leather sole with rubber insets.